Awwww man! Southern California gets all of the great fall festivals! Insomniac is going to be duking it out with HARD’s Day of the Dead! Not to mention Day of the Dead has an amazing lineup, Insomniac has brought out the big guns. This lineup looks amazing. From Tiesto and Avicii to Steve Angello to W&W to many more artists. Plus, Richie Hawtin is performing on both days. 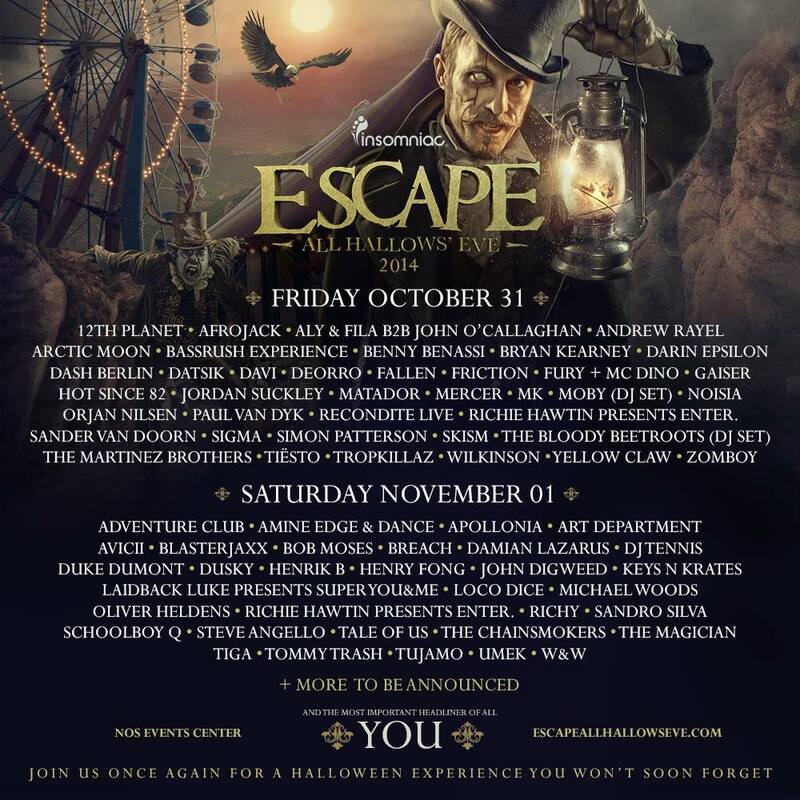 Escape: All Hallows’ Eve is taking place on October 31st and November 1st. Check out the full lineup.